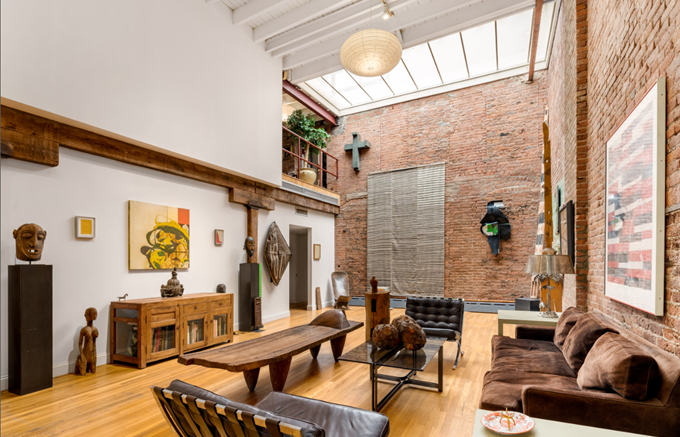 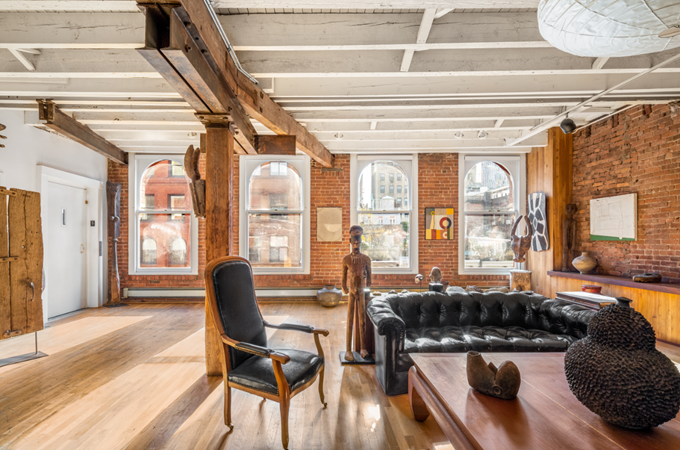 Pulitzer and Tony award-winning playwright Edward Albee moved into a loft in a converted TriBeCa cheese factory in 1977 and lived there until his death in 2016. 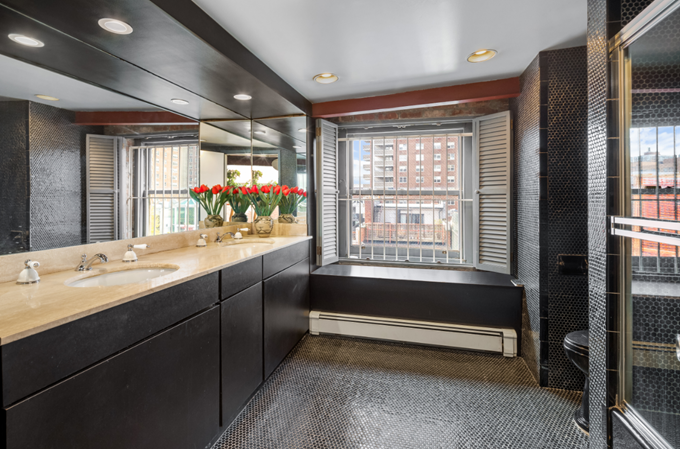 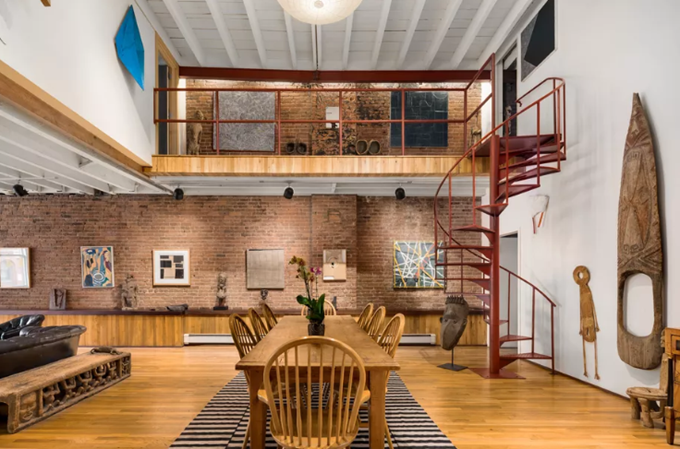 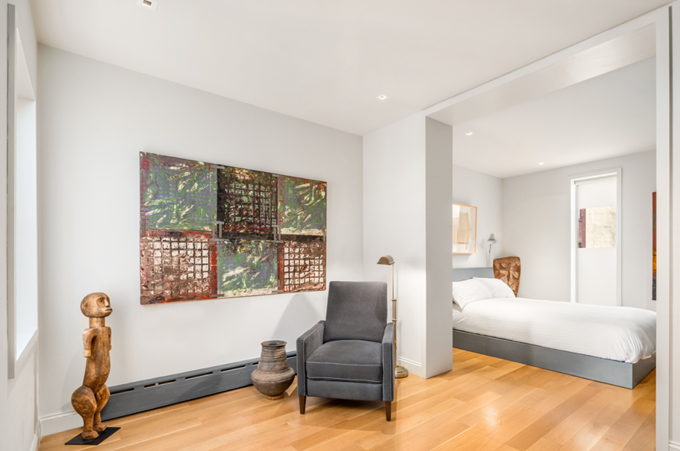 For nearly 40 years, Albee hosted parties and produced some of his greatest works in the 4,500 square foot duplex at 14 Harrison Street, which just hit the market for $8.995 million. 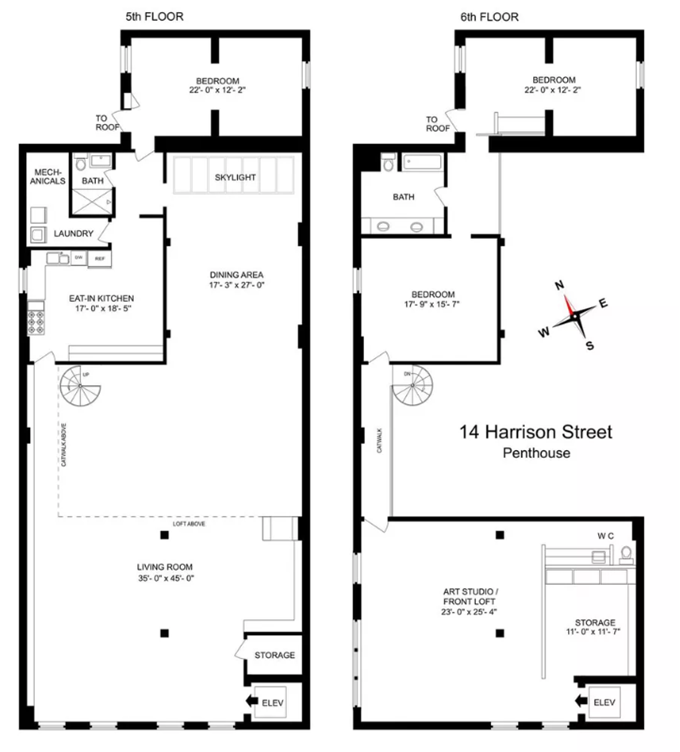 The three-bedroom unit occupies the entire fifth and sixth floors of the building and has exclusive roof access. 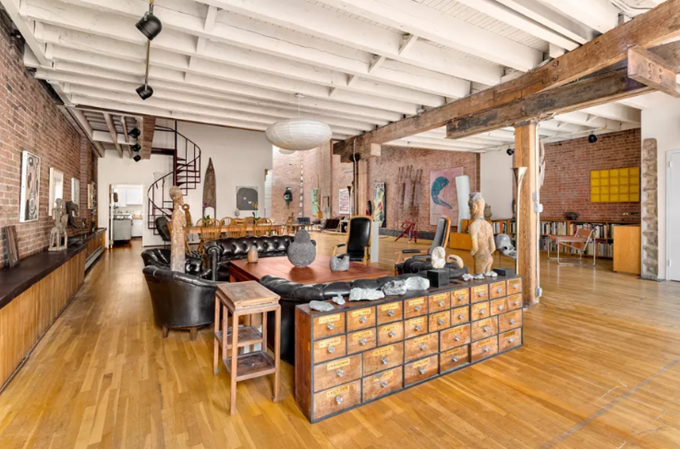 The open floor plan has all the modern amenities, while beamed ceilings, exposed brick, and a skylight above the 17.5-foot ceiling still hark to the building’s industrial roots.